Iron is a metallic element – the most common element on earth. Iron is in itself a paradox since it easily rusts but is considered as the most useful of all metals. “Iron” is also used to refer to any alloy that predominantly contains iron. Usually, however, it refers to wrought iron or cast iron. How do you differentiate the two? Read on and unearth their differences. Cast iron is a form of iron that was prevalent in ancient China. It is an alloy of iron that has more than 2% carbon. The high carbon content makes cast iron more brittle and non-malleable. It has a lower melting point and is ideal for casting into molds. It has been used to make bridges and structural columns for buildings. One of the more popular uses of cast iron is for making pans. 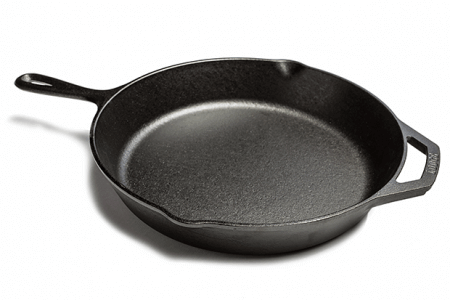 Cast iron pans are easy to make and are valued for their heat retention properties. Throughout western history, “iron” has almost always referred to wrought iron. Wrought iron is an alloy of iron with a very low carbon content – less than 0.08%. It contains some amount of fibrous slag made of silicate minerals as well as some other materials. These slags form stringers that provide the iron with a grain that makes it resemble wood. It is relatively soft and malleable and welds easily. Wrought iron was used extensively for wires, chains, railways, and pipes before steel became prevalent. 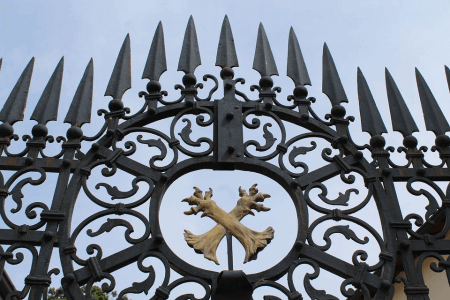 In the 13th century, wrought iron gates were often made in London. For many years, the words “wrought iron” became the generic term in the gate manufacturing industry. At present, wrought iron is no longer produced in commercial quantity because of the high cost. What is the difference between cast iron and wrought iron? Cast iron has a higher carbon content of more than 2%. The carbon content of wrought iron, on the other hand, is less than 0.08%. The melting point of cast iron is lower and it is easier to mold. Wrought iron, on the other hand, is highly weldable. It has a higher melting point and can be re-heated several times, making it stronger when pounded into different shapes. Cast iron is brittle and non-malleable while wrought iron is soft and workable.